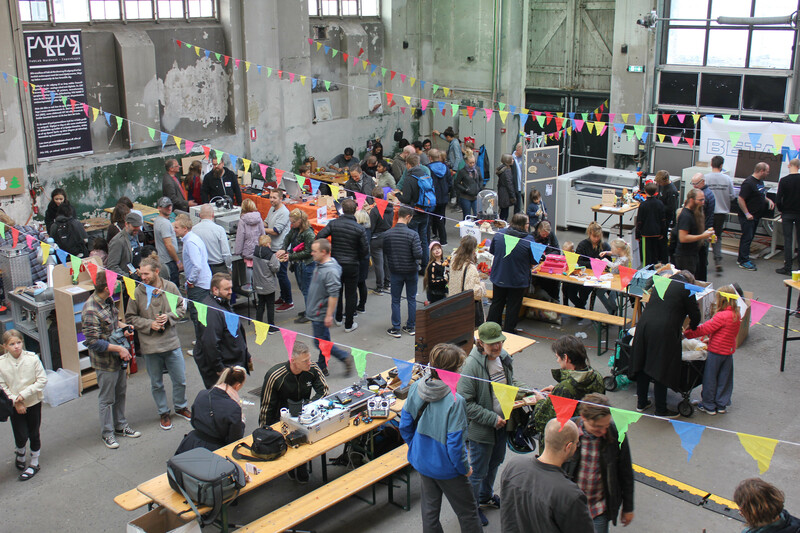 Creative talents of Copenhagen and inspiring designs at the Copenhagen Maker Festival 2018! A distributed design approach enables new types of designers and emerging local markets all connected to a global marketplace of digital platforms, manufacturing spaces, and skilled makers. In May Copenhagen Maker called local designers and makers to apply with their creative ideas, designs and products related to distribution. Out of more than 25 individual and talented applications 10 designers were chosen to realize their projects with a production residency at fablab Underbroen and to showcase them at the Copenhagen Maker Festival in September 2018. During one month each of the residents got the possibility to work on its own design, manufacture and finalize his or her product with the support of the manufacturing facilities of fablab Underbroen as well as the feedback from the creative community on prototypes and final products. The Distributed Design Market at Copenhagen Maker Festival presents the 10 final prototypes, which are reflecting distributable, reproducible and valuable design. All designs are manufactured with the availability of local materials and hardware, while they can travel globally. Furthermore they present solutions to design challenges on a societal level and are creating value for individual people, companies and our society. A multi functional leather apron that can quickly switch into a bag at the end of your day. Dawn is both a tool as well as a toolbox and designed to create as little material waste as possible. A do-it-yourself birdhouse that gives you noticifation when there are birds in the nest. A fun way to engage children and young ones, and is a great design for a common school project, or the bird-curious family. A digital platform software script and design concept that involves people from around the world hands-on in co-designing their own furniture for local production. A design that lets you grow a variety of mushrooms right in the comfort of your home + an online platform. A beautiful and intuitive way of sourcing and growing mushrooms that brings a piece of the forest into your kitchen. A robot based on a 3D-printed body and arduino-based hardware and sensors. A creative design, and hungry coin-eating robot. that invites the user into the center of making. A smart design and stylish case to make gaming setups portable. Designed to carry a portable game console, equipment and with a built in screen, this design gives added mobility to gamers all over the world. An experimental design and architectural beehive that is made using 3D configuration. An inspiring design that challenges the architectural boundaries that support the duality of human/nature occupancy. A textile design and print concept that creates beautiful lines in various textile folding patterns. The design is currently developed for four different patterns, and will be tested and prototyped on more patterns, textiles and printing techniques. A flat pack table based on a stream lined concept. Produced using the CNC mill, and made from a single plywood board, Wilder is designed for zero waster and fast assembly.